Okay ladies and gentleman. We’ve previewed the game and we know what each offense has done against the other’s starting pitcher for the night so now all that’s left is to pick a winner. Truth be told I think home field advantage is a pretty minimal advantage in Major League Baseball in most cases but I think the Toronto faithful proved last postseason that they can be the key factor in a game. In short, they can get loud and that has to get inside the head of the pitching and for that reason I have the Toronto Blue Jays winning this game tonight. 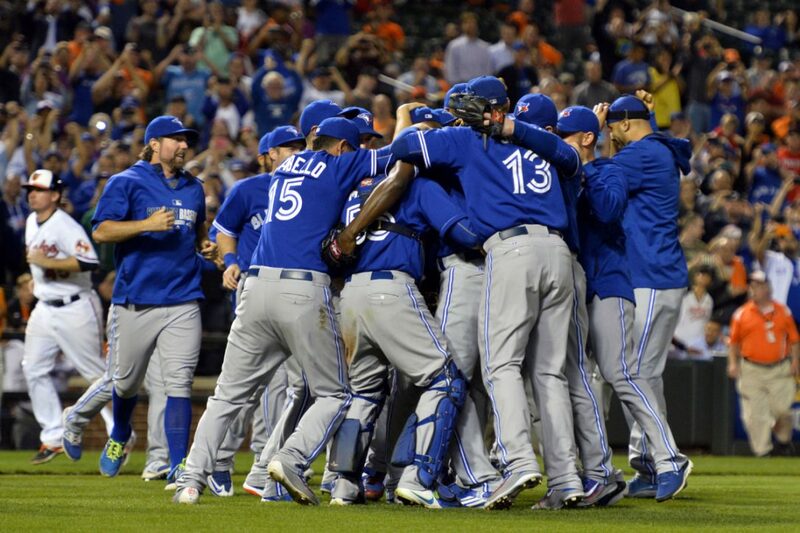 I can see this turning into an offensive explosion for both team’s due to the big stage and the pressure with the Blue Jays winning the game 6-2. Buck Showalter won’t be happy but I have a feeling millions of Yankees fans will be when they see him drop his head and walk into the dugout after the loss. Just a hunch. I guess you’ll have to tune in here in a couple of hours to see if I’m right. Full Disclaimer: I’m hardly ever right so don’t bet the bank on it.